VW's pact with drivers and U.S. regulators offers car owners options, including a cash buyback or $5,100 and a free fix for their vehicle. Given the choice of fixing diesel-cheating Volkswagens or getting their money back, car owners are lining up for the cash. Almost half of the 475,000 drivers of Volkswagen Group cars on U.S. roads in violation of pollution laws already have registered to participate in the settlement program a month after the deal won preliminary court approval. VW’s pact with drivers and U.S. regulators offers car owners options, including a cash buyback or $5,100 and a free fix for their vehicle. Most of the 210,000 owners and lessees who’ve enrolled in the program want the buyback, lead plaintiff’s attorney Elizabeth Cabraser said in an interview, without offering specific figures. While VW doesn’t have a government-approved modification for any of the cars, drivers may have a change of heart if a fix becomes available, she said. “Wow. This is a huge number in a relatively short period of time," said Deborah Hensler, a law professor at Stanford University who teaches classes on multidistrict and international class action disputes. “But on the other hand, it would be shocking if a huge fraction of class members were to opt out when it has not been made inordinately difficult for class members to register." Buying back the cars is the more expensive option for the company, but having more drivers choose that option will help the German carmaker fulfill its obligation to get 85 percent of polluters off the road in order to avoid further penalties. The first of at least 11 emissions-system adjustments is expected in September, a year after the cheating was made public. The settlement includes about $10 billion for drivers of VW models with 2.0-liter engines. Plaintiffs’ lawyers have sent out more than 800,000 notices to ensure optimal participation from the class. Those owners and lessees have until September 2018 to opt for the buyback. 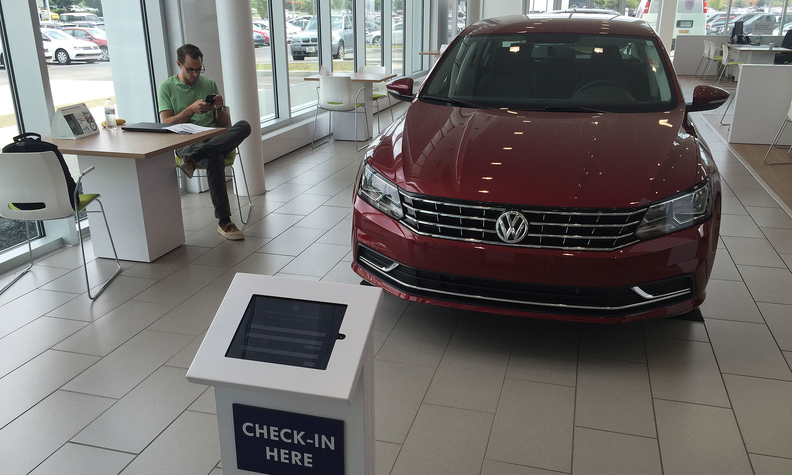 Volkswagen spokeswoman Jeannine Ginivan didn’t immediately respond to an email seeking comment on the registrants. About 235 consumers have opted out of the settlement since it won initial approval from a San Francisco federal judge on July 26, or less than 0.05 percent of the class. That compares to a 0.6 percent rejection rate in a 2004 General Electric Co. settlement and a 16 percent opt-out class in a 2010 settlement with McKee Foods Corp., according to the filing. U.S. District Judge Charles Breyer is slated to rule on the motion for final approval on Oct. 18.